At 4:30 p.m today, December 19th 2014, the energetic and dynamic ace journalist, Anne Nsang will be lying in state in Yaoundé Cameroon. In spite of the fact that her fight with lung cancer had already made it to the public sphere, news of her death on that November 28 morning caught Cameroonians off guard. Her relative vibrant presence at her father’s funeral a month earlier had quelled down rumors that she was on her dying bed. For her family and fans, the devastating news felt like electric current on raw flesh. She was simply too talented to go so young. As news of her premature death rocked social media sites and captured newspaper and blog headlines, it was evident that Ms. Anne Nsang had earned our respect, accolades and tears in her own right! When Anne Nsang joined CRTV in 1986, it would have been easy to dismiss her as one of those who found her way to Cameroon Radio Television (CRTV) because of her political network. After all, she was born Anne Agbe Nkwain, the daughter of the late Hon. Francis Bochong Nkwain, a career diplomat, a die-hard stalwart of the ruling CPDM party and Minister of Government. But that was not the case. When her pretty face enveloped our TV screens for the next 17 years we could have dismissed her as one of those who used her physical charm to glide through the corridors of the CRTV Corporation. But once again that was not the case. She earned her stripes through performance. She earned her stripes through innovation. She earned her acclaim because she was competent. She earned her accolades because her energetic voice floated effortlessly and confidently through our silver screens effectively engaging our minds. Her first imprint on our national psyche was her wardrobe of choice. She was the first of our female TV anchors to adopt African prints as her wardrobe staple. She regaled our TV screens with African outfits and headscarves in intricate patterns. 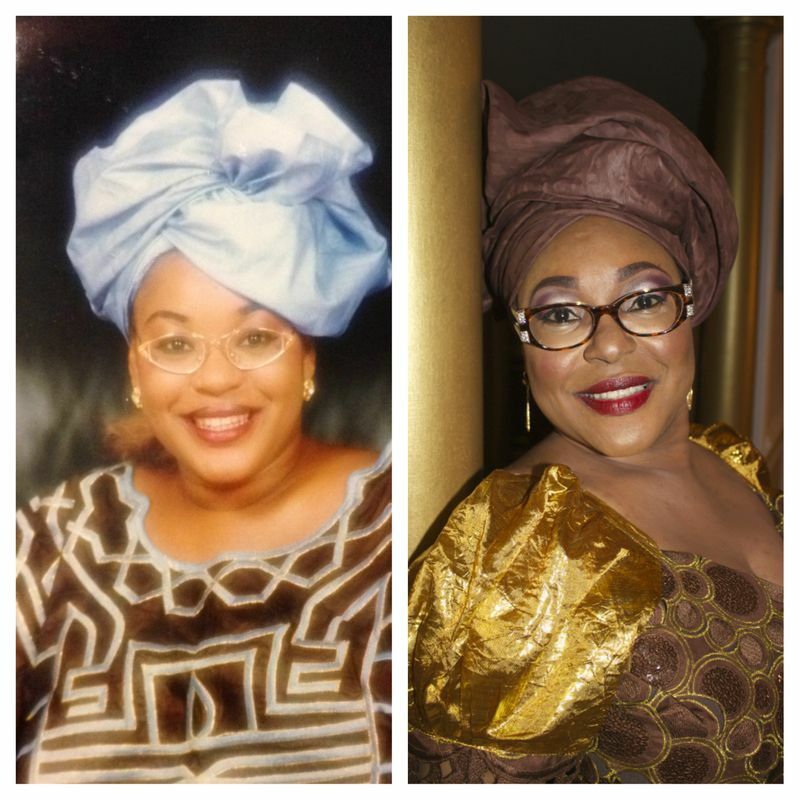 In fact, long before afritude and Nigerian “geles” became a fashion statement for women in Cameroon, Anne Nsang had claimed the look on national television. She took us out of our colonial slumber announcing a new dawn, blazing a trail for other CRTV women who confidently followed suit. But if it was only about dressing, we would have quickly forgotten Anne Nsang. Her lasting legacy was born out of her passion and determination to fight for the rights of women, especially women who did not have the agency to fight for themselves. After a two year stint in the UK, I returned to Cameroon during the waning months of 1991. The country was rumbling. The winds of change that had ended the cold war and had also brought down the Berlin wall were finally in Cameroon. The mood during this period was one of disillusionment and unrest. There was a relentless push for reforms. While the masses decried their marginalization and clamored for democracy, women bemoaned a double marginalization that placed them on the margins of the margin. Cameroonian women sought changes that would combat thier double marginal status. This desire translated into the creation of women’s pressure groups like the Association of Female Journalists and the Association of Female Jurists. This period also witnessed the proliferation of nonprofit organizations determined to fill the gaps left by government in caring for marginalized groups like women and children. It is in this climate that Anne Nsang launched her program Women and Development on the Cameroon Radio and television network. This program became revolutionary in publicly discussing women’s issues, which had been considered private matters. The format of the program was quite engaging. In each program, one or two women presented personal testimonies depending on the topic of the day. Topics included widowhood, property rights, divorce, polygamy, or problems of the girl-child. Then a panel of experts, including legal experts, explained to the in-house and television audience the options open to women in the stated situation and where they could seek help. This was the first time that women’s issues were given center stage in public, and it gave women the confidence to speak out. Consequently, for the first time in Cameroon, women appeared on national television acknowledging various forms of abuse justified by tradition or sanctioned by the constitution. Anne Nsang’s dynamism as host of the show and her extensive personal network brought reputed women and legal luminaries like Justice Vera Ngassa, Justice Betty Luma and Senior Attorney-at-Law, Bertha Sume Epie-Eyoh who eloquently presented to women what rights were guaranteed by the constitution and which rights they needed to fight for. The personal stories were quite illuminating as the audience became participatory eye witnesses to real life scenarios. Women at home jostled around TV sets and carried the debates into their different meetings and “njangis”. The program Women and Development became a classroom of sorts to a multitude of women who tuned in to understand their circumstances. The program validated their existence and provided resources like legal counsel that were unattainable to most. The program galvanized Cameroon women across the board, even across Francophone-Anglophone linguistic lines. The fact that CRTV was the only TV station in the country at the time made the impact of the program palpable. Furthermore, a Ministry of Women’s Affairs was established in Cameroon during this time. With the creation of this ministry, the International Women’s Day, March 8, became a national day to manifest “women power” and solidarity. On this day, there was usually a special edition of Women and Development. After the march past women would file into CRTV in their various uniforms to participate in this unique broadcast. The atmosphere was usually festive and feisty. It often ended with an impromptu dance celebration to the tune of Prince Nico Mbarga’s Sweet Mother. Anne Nsang had created a platform that wired women around the nation into one volatile movement for change. The last time I encountered Sis Anne in person was in 2008. I was in Buea, Cameroon to organize the EduArt Awards for Literature. In the midst of the event at Capitol Hotel, someone whispered to me that Anne Nsang was looking for me. I had heard that there was a Cameroon Journalist Association meeting in town that night, so I was not so surprised to hear she was around. I asked the ushers to bring her in. She came in spiritedly in her usual way. She told me she had come to meet her former Professor. She had heard that the guest speaker of EduArt Awards was the prolific Nigerian Poet, Prof. Niyi Osundare who taught her Linguistics at the University of Ibadan. It was then I learned that she had actually completed her kindergarten and elementary schools in New York and Nigeria. She was also a graduate of St Anne’s secondary/high school in Ibadan. In fact, she earned an M.A in Language Arts specializing in Mass Communication from the University of Ibadan in 1985. Student and Professor reconnected. As they chatted excitedly, so many aspects about Sister Anne’s insights and performance on CRTV became contextualized. She had come to CRTV with solid academic credentials anchored on a wealth of experience from living abroad, particularly in Ibadan that bastion of academia and also the place where the first television station in tropical Africa opened its doors on October 31, 1959. I also understood why she was almost crouching in front of her former professor in typical Yoruba tradition. Yes, I will also not be surprised when many will turn up at the Yaoundé Reference Hospital mortuary at 4:30 pm today, including a good number who may have never met Ms. Anne Nsang in person. And I would not be surprised that there would still be many like me who would not be there but our minds would be in Cameroon; we would pause and allow our tears to claim our faces as we remember Mrs. Anne Nkwain Nsang who used her talents and resources at her disposal to give voice to women whose marginal lives had robbed them of one. 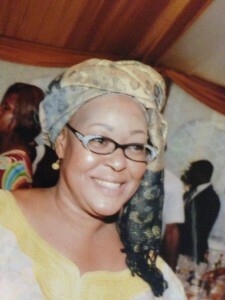 By giving voice to the voiceless, Anne Nsang created her legacy which will now outlive her physical stay on this earth. Yes, she created/anchored other important programs like Feminine Line, a precursor of Women and Development, The World This Week and even became Deputy Director of CRTV marketing and communication, then moved on to the United Nations as information officer, yet everything else pales in comparison to her role as a crusader for women’s rights. My hope is that her mother, husband, 5 children, siblings and extended family will draw comfort from our collective grief. She had gone beyond just being a daughter of the Nkwain family; she had gone beyond just being a wife of the Nsang family. Her works had made her a daughter of our nation. She earned IT in her own right. We are giving her, what she, in her generosity of spirit bequeathed to us! May her soul find eternal rest!